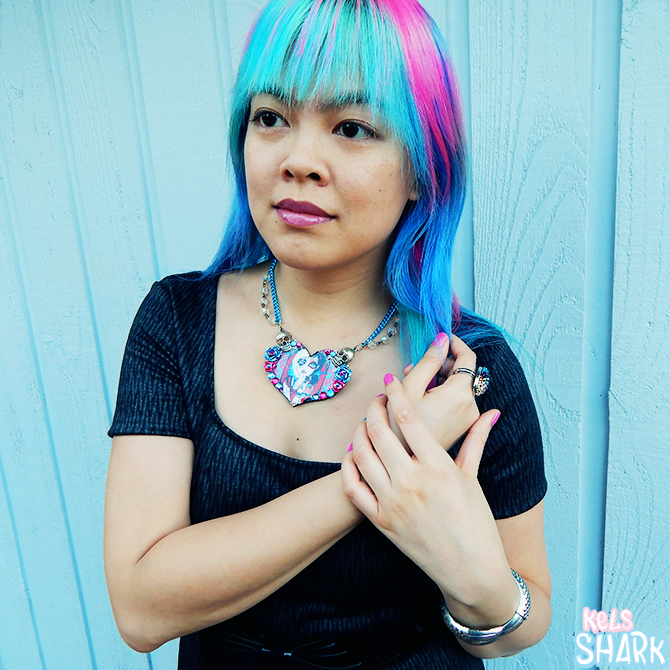 Kels Shark: Outfit: Bright Spot in the Darkness | Featuring eShakti! 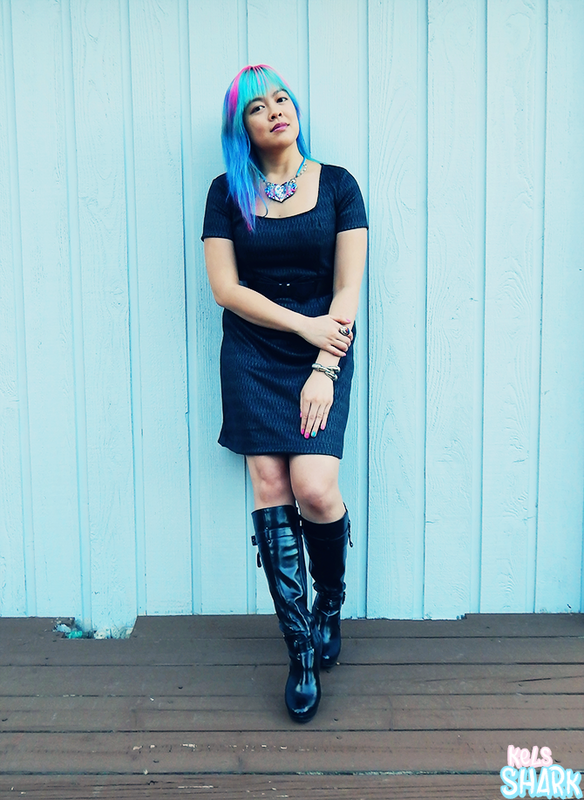 Outfit: Bright Spot in the Darkness | Featuring eShakti! Note: This post contains some affiliate links, but all opinions are 100% my own. Before I left in favor of self-employment at the end of May, I was working as a reporting and investment accountant for a large regional firm. As with many working women, my go-to outfits began to center around work dresses. No need to match top and bottom - a dress is its own match. For someone who has never made friends with the morning, throwing together an outfit as quickly as possible was an absolute essential. It was while I was working that I first began noticing the trend of covetable dark grey and black wool dresses pop up in the working world. Nothing revolutionary, I imagine, but I found myself looking for one. I had my potential outfit all planned out already, with the perfect wool dress starring front and center. Alas, it never came to pass while I had a workplace to go to every weekday. The dresses were too long, not the right style, or just not exactly what I was looking for. And given the price wool dresses fetch, it had to be perfect. Eventually, I gave up on finding the perfect wool dress and left the hunt empty-handed. Thus, wool dresses was not on my mind when eShakti contacted me about a product review. As I looked through their seemingly wide array of beautiful and varied dress styles, I had no idea how I was going to pick one... until I saw the wool dress. As soon as I saw the dress, I knew it was meant to be. The best part? eShakti offers customization options! In my previous wool dress hunt, I rejected quite a few dresses due to the hem length. I've found that most dresses below knee length don't sit quite right on my frame. And at 5'3, it's often difficult to find a dress at my desired hem length (knee length or just above knee length) and I find myself skirting the line between petite and regular sizes. Additionally, I've found that for some reason, cap sleeves just don't look right on my arms - I usually prefer no sleeves or short sleeves. As such, I was thrilled that this particular dress came with three customization options: neckline, hemline, and sleeves. I liked the look of the original neckline, so I kept that as is, but I opted to customize my dress with short sleeves and an above-knee-length hemline. I was also able to enter my height, which ensured that the hem length would be suitable for my frame. I happened to fit a standard size, but I checked out the size customization page and was impressed by how many measurements you can input to ensure that your piece fits. Their standard size range runs from 0-36W. Since I no longer need "work dresses," I had even more fun with it! Honestly, with my bright hair colors, sometimes it's nice to own more muted clothing. That way, my hair and accessories don't have to compete with my clothing. Plus, I get to pretend I actually blend in with the crowd (a delusion, I realize, but it helps comfort my introverted self). Admittedly, almost anything would serve as an excuse to wear my favorite boots (I've had them for years and I think they're coming to the grave with me) - I was already picturing them with the dress when I picked it out. 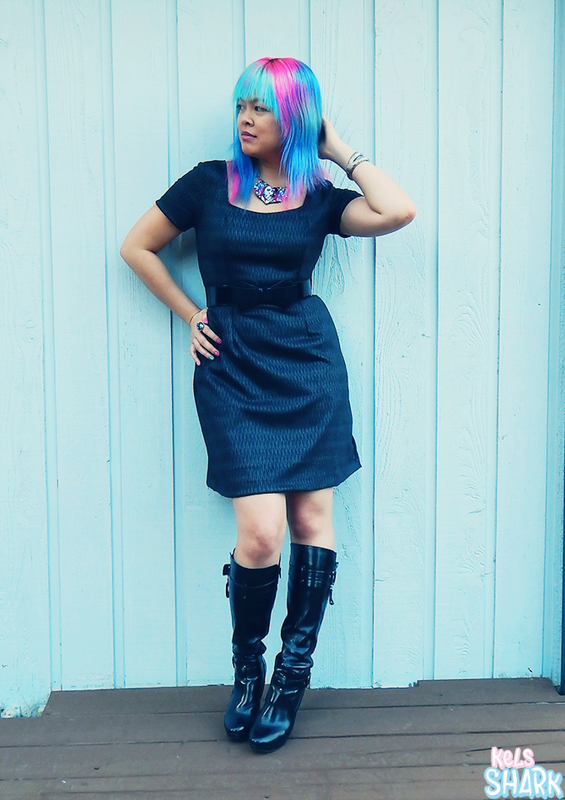 The dress came with a wool belt, but I styled it with a black bow belt from White House Black Market (WHBM) instead. The ensemble was topped off with three pieces of jewelry: an Eye Candy LA claw bracelet I scored on super sale from HauteLook, a sparkly Tarina Tarantino galaxy ring, and a necklace from Callow Lily, one of the most talented (and incredibly prolific) artists I know. I am honestly thrilled with my dress, which is everything I had hoped for. :) Lined, just the right shape (not too body-hugging in the hips, so it actually fit over my big hips), and, of course, customized exactly as I asked. + eShakti is based in India and sews pieces to order (hence the ability to customize). As such, orders can take several weeks to arrive. Be sure to plan well in advance if you are buying for a specific event! + The material of the dress was a bit scratchy. In my experience, all wool fabric feels a bit scratchy on my skin, so it was nothing unexpected to me. I haven't washed it yet, so I don't know if that will fade with time. Unfortunately, I don't think this particular dress is available on their website at the moment, as their stock changes frequently. I suppose this has the added benefit of ensuring that you don't have the exact same clothes as everyone else (one problem I noted with WHBM, which was one of my previous wool dress stalking grounds). 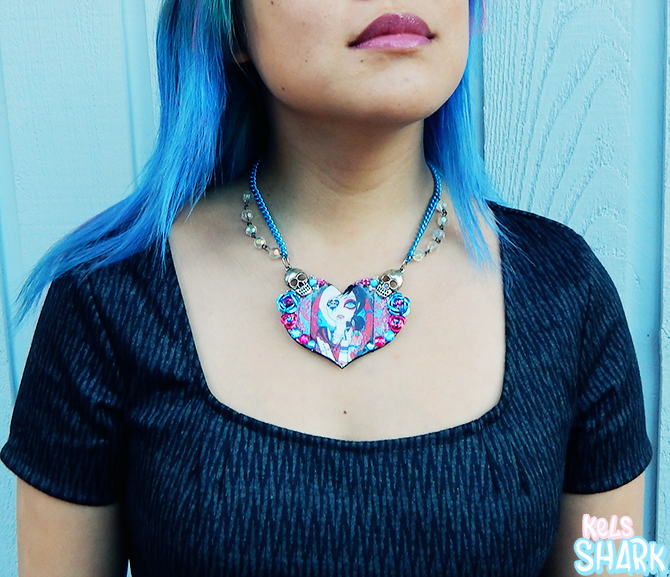 eShakti generously included a coupon just for you guys: Use "kelssharks" for 10% off* - valid until 9/16/14. LOVE the dress you chose, it looks so good on you! And I get the hemline problem. I am slightly taller than you, but it still bugs me quite often too. Thanks, Crissy! I love the dress you picked from eShakti too - I thought about getting a similar one (with that scallop neckline) when I was choosing! This is fantastic! You are so pretty and fabulous and I wish I could pull of your awesome hair! Thanks, Angie! YOU are gorgeous and could totally pull off any hair you wanted! 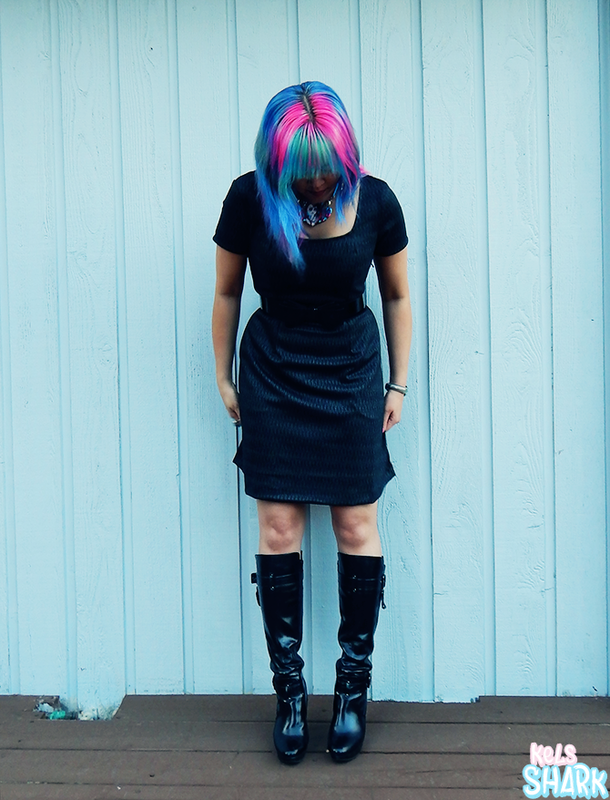 The dress looks great on you and especially with those awesome boots!!!!!!! I can see why they are your favorite. Thanks, Jessie! <3 Yeah, I got those boots like 4 years ago and can't even count how many times I've worn them since. I even got new stiletto caps for them (something I rarely bother doing)! I have a dress from them too. I couldn't believe how much I'd been missing out by having something tailored to my size. It feels so good to wear something made for you! Thanks, Amy! Yeah tailoring can make all the difference - and even though I didn't get a custom size, I think the custom option I chose made the difference for me. At this point I mostly know what looks right on me, so it's nice to be able to specify that! Great dress! It looks fab on you. PS: I think you're so brave to leave your accounting job to pursue a creative job that you love. I admire your courage, you're an inspiration to me! Thank you so much, Trishie!